We stringently make complete arrangements for the vigil examination of the inputs used for the products. By this, we are capable of bringing forth reliable products that are presented after complete inspection and examination by the experts. 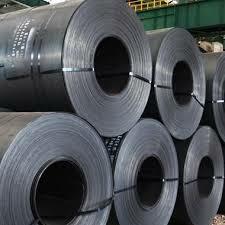 Engaged in the industry as a prominent Supplier of Mild Steel Coils, we present the finest range of products. Our Mild Steel Coils have a galvanized surface which provides excellent heat, chemical and rust resistance.